A gated complex featuring a charming Grade II listed property which presents a range of adaptable office units which are fully serviced with access to on-site parking. This is a quiet area not far from the river and an easy distance from high street shops and restaurants. 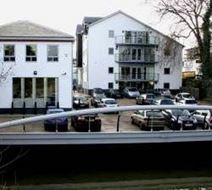 This work centre is located in the centre of Staines, which is a vibrant town with fantastic transport links. Staines Train Station is only a seven minute walk from the work space and is also close to the M25 Motorway, the work centre has on-site car parking available. The work space comes with a private meeting room and also a boardroom with glass doors. Other great amenities include; a fully functioning kitchen, a weekly cleaning service and WiFi throughout the building. This striking new centre offers a range of well presented office units with conference and reception facilities and advanced IT resources. On-site parking is available and the building is a short distance from the retail and restaurant amenities of central Staines and fast rail services into central London. 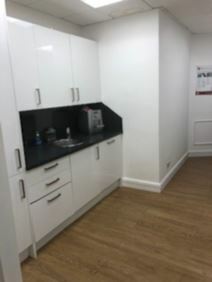 Suitable up to five desks with the option to add another adjoining meeting room/office this ground floor office has a front aspect view of London Road. Ideally located just two miles from Heathrow Airport and a 10-minute walk from Staines Town Centre. Attractive serviced offices are available now in both of these distinctive modern buildings, which are available individually or in combination, and on flexible terms. This is a pleasant setting by the river, close to Staines Town Centre and easily accessible from the M25 and M3/4. Ideally situated to do business with the high-tech corporations and pharmaceuticals in the thriving Thames Valley this Staines-upon-Thames business centre is close to both Staines and Egham stations for direct links to London Waterloo, as well as access to Heathrow in less than 15 minutes. With all-inclusive pricing the contemporary space is creative and flexible.